Want your home comfortable again in a hurry? We get it. We always send our technicians with a fully stocked truck, so most repairs can be done on the spot. We also want to make sure it’s repaired right–that’s why we do a in-depth 80-point diagnostic of your system so we can diagnose the problem right the first time. The best part is that we let you know what your repair costs before we do any work, that means no surprise charges! 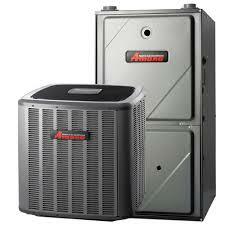 Ready to get your heat pump issues resolved? Call us now or schedule your repair online. Heat pumps are similar to central AC units, but they have the ability to heat and cool your home, so there is no need for a separate furnace. It is important to accurately size and expertly install your system for peak efficiency. We offer FREE quotes for all heat pump installations, where we can help you choose which brand, size, and style will fit your home, your budget, and your life. All of our complete heat pump installations come with a FREE Maintenance Protection Plan Membership for two years after installation. As a Silver Protection Plan Member you are entitled to 20% off our whole home Duct Cleaning Services, Priority Service, and one 80-point Heating and Cooling Tune-Up one year after installation. Learn about all the benefits of having a maintenance plan here. Contact us for more information or to schedule your FREE quote.